Can Atheists Live without God? 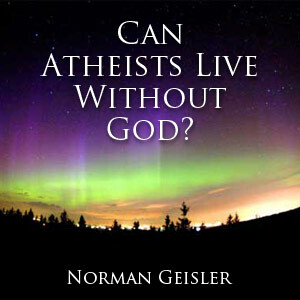 In this audio from The Voice of Truth Podcast, Norman Geisler speaks on the subject: Can Atheists Live Without God? Geisler discusses what atheists say, what the Bible says, and what the evidence shows. He argues that atheists can't live without God logically, morally, psychologically, and religiously. Why Do Atheists Act So Negatively?